The party’s platform on Foreign Policy is as follows: the Libertarian party does not support heavy military involvement with other countries at this time. They believe that nation-building actions by the United States have shown to be an unreliable solution, regardless of good intentions. The Libertarian party believes that foreign policy should focus more intently on developing communication and reaching peaceful resolutions. The Libertarian political platform on foreign policy opposes military aggression and believes that war is only justified in defense. Libertarians are opposed to a draft, and they believe that a trained military of volunteers should exist to defend the country if attacked. 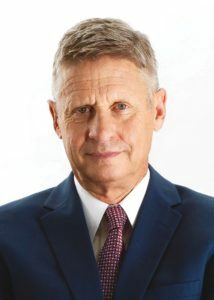 In the 2016 Presidential Race, Gary Johnson’s views on foreign policy were in line with the Libertarian Party’s platform. In his campaign, he stated that he opposed foreign wars and aimed to cut military spending. He opposes the U.S. involvement in Afghanistan and the Libyan Civil War. He stated that he does not believe that Iran is a military threat and is disinterested in following any allied countries into a war that they initiate. He believes that diplomacy between the U.S. and China and North Korea is more valuable as they are a more viable threat in the future.